hese are the new Church Officials of the Evangelical Lutheran Church of Papua New Guinea (ELC-PNG). 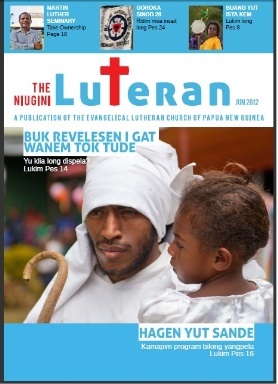 They were voted by the ELC-PNG 27th National Synod on the 14th of January 2010. It is his first term as the Head Bishop and he is the fifth man to become the Head Bishop following Dr. Rev John Kudar (1956-1972), Sir Zurewe Zurenuoc (1973-1981), Sir Getake Gam (1982-1997) and Rev. Dr. WesleyKigasung (1998-2008). As passed by the 27th National Synod, the new planning document titled Vision 2020 will be implemented this year. Right after the January Synod, 8000 copies of the Vision 2020 documents were printed and delivered to the ELC-PNG Planning Liaison officer Mr. Jerry Daniels. The document was produced in two versions, Tok Pisin and English version. 4000 copies of each version were printed. 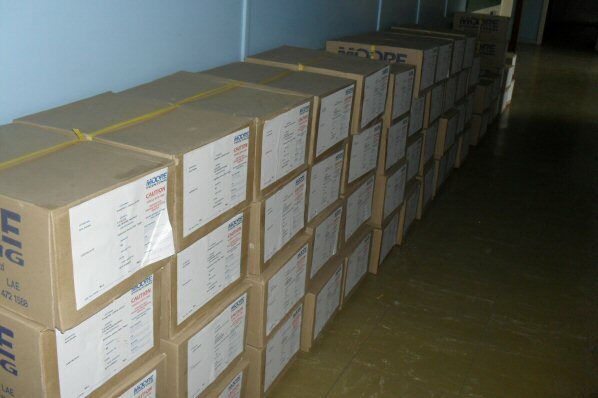 According to Mr. Daniels these documents will be distributed to all the ELC-PNG staff from the National office, the ELC-districts staff, the ELC-PNG agency schools and health centers and to all the local Parishes of ELC-PNG. On the fourth day of the 27th National Synod of the Evangelical Lutheran Church of Papua New Guinea (ELC-PNG), the election for the new National Church candidate was what anticipated and waited see was at hand. At 2:55pm, the department secretary of the Evangelism department, Rev. Binora Junare opened the election process with a word of prayer. After the word of prayer, Mr. Simon Sinai, the Morobe Provincial Electoral Officer from PNG National Electoral Commission spelled out the guidelines to all the voting delegates. The voting system used was the “First past the post” and not the “Preferential Voting System”. At 3:15pm, Acting Head Bishop, Rev. Zau Rapa pave the way as the first person to vote. After Rev. Rapa casted his votes all districts followed through. Bihain long Evenselikol Luteran sios bilong Papua Niugini i bin ron long 20-pela krismas annit long olpela konstitusen, planti samting ino bin stap gut. 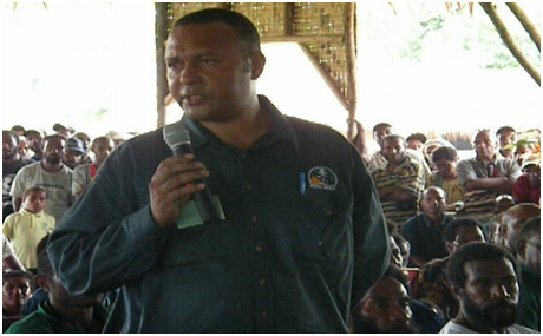 Profesa bilong Lo insait long univesiti bilong Papua NiuGini (UPNG) i tok. Em i tok, insait long dispela las 20-pela yia, administretiv ron na wok bilong Luteran sios ino bin bihainim as tingting stap insait long olpela konstitusen. Na tu bihain long 20-pela yia dispela konstitusen ino moa inap long stiarim gut ron bilong sios insait long dispela taim we planti senis i wok long kamap insait long wel na kantri bilong yumi. Bihainim dispela tingting, sios long wanpela sinot bipo i passim risolusen long senisim na mekim nupela konstitusen. Aste long Mande deliget insait long sinot i sidaun long pes riding bilong konstitusen long mekim klia nupela administretiv straksa na ron bilong sios bihain long sinot. Profesa Kwa i tok taim konstitusen plening komiti (CPC) i sidaun long mekim konstitusen, ol sindaun gut na skelim ron bilong konstitusen wantaim Visen 2020 long mekim bai tupela dispela pepa i mas ron long wanpela as tingting na mak.